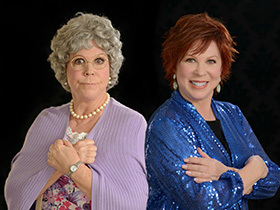 Vicki Lawrence keeps you laughing for the first half of the show with her stand up comedy, then for the second half you will be entertained by "Mama" like you have never been entertained before. "Mama" starred in her own TV show and for years Vicki Lawrence and "Mama" made America laugh every week on the Carol Burnett Show. Vicki and Mama return for a special show on May 12th, 2019. Discover more Branson shows with Branson.com.